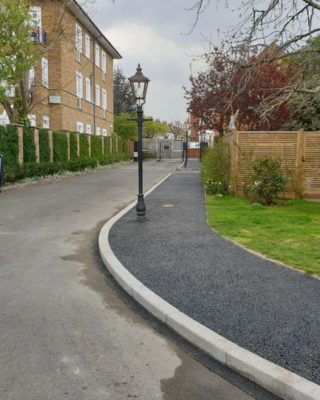 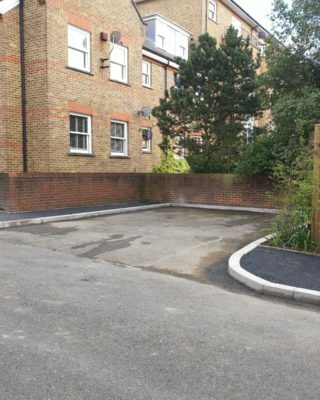 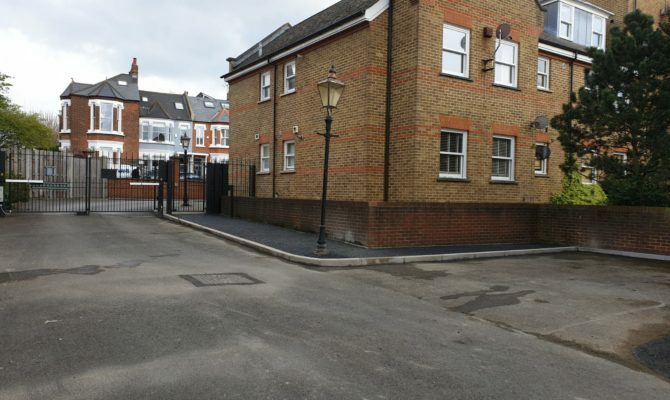 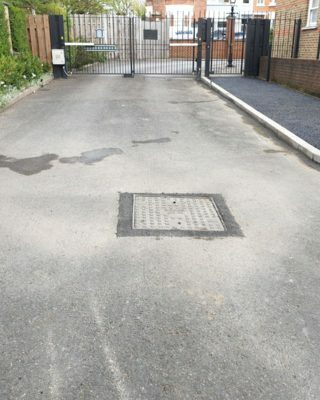 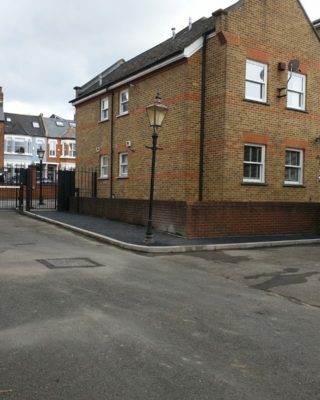 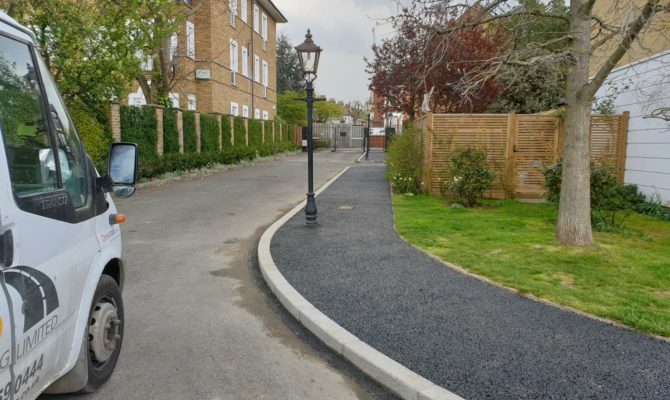 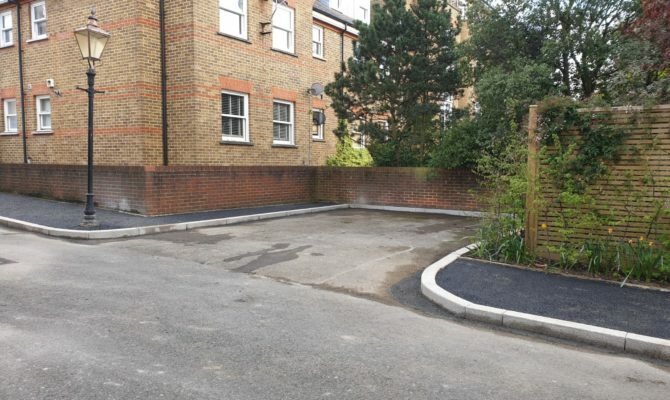 TTS Surfacing Limited carried out various pathway works on this housing estate in Wandsworth, London with the pathways measuring 248m². 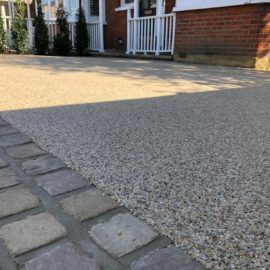 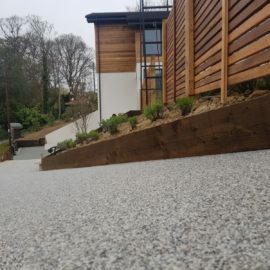 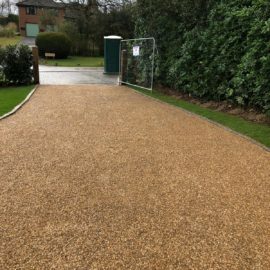 The finished pathways surface chosen was Resin Bound Ocean Pearl. 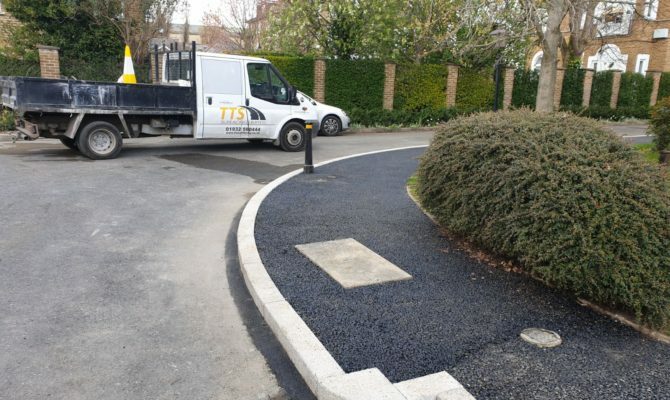 Pathways area = 248m² Dig out to a depth of 100mm below kerbs. 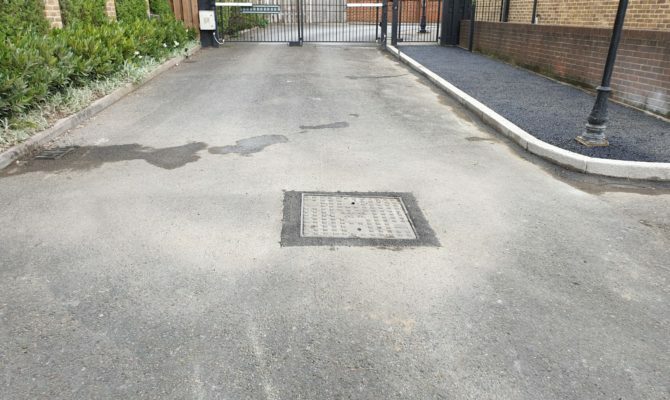 Supply and lay necessary quantities of type 1 crushed concrete. 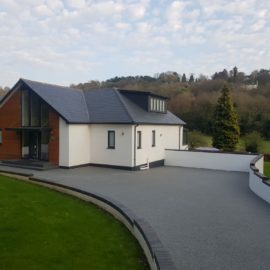 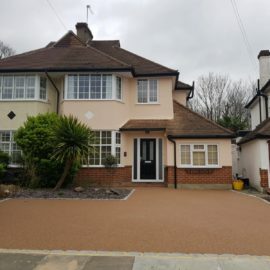 Supply and lay 18mm of resin bound wearing course – colour Ocean pearl. 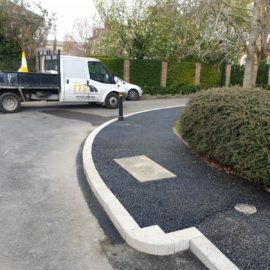 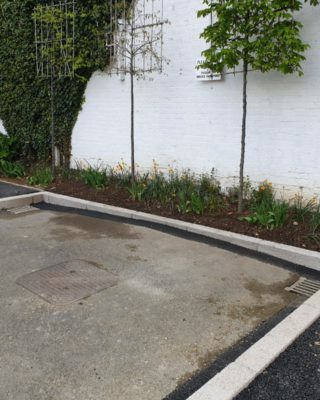 Break out existing kerbs and muck away. 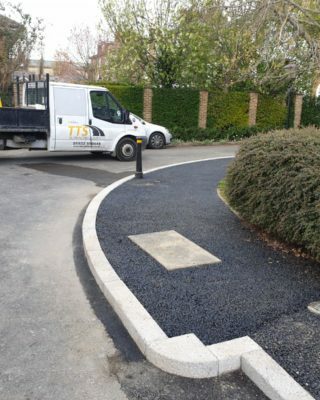 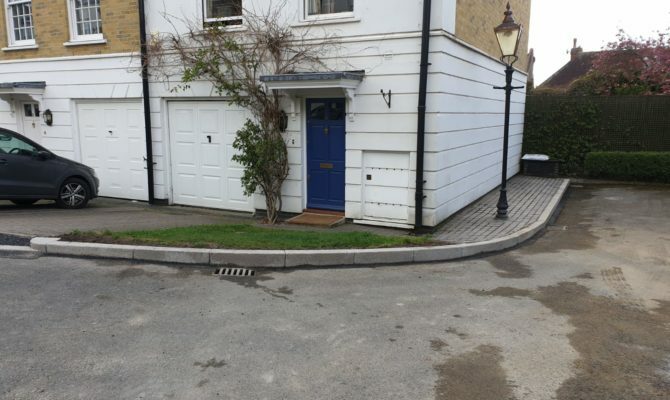 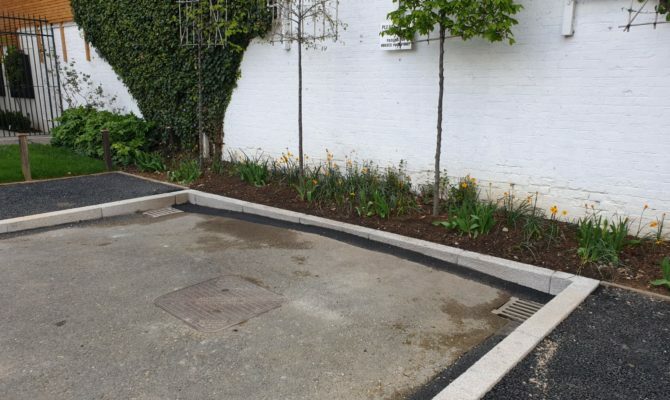 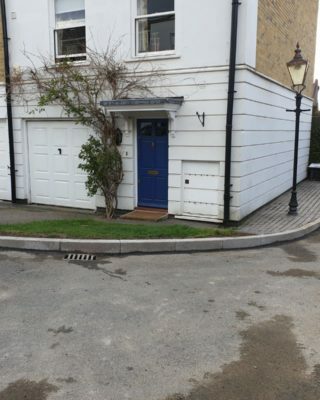 Supply and lay 175 linear meters of conservation kerbs.